Greater Portland Christian School is incorporated as a nonprofit corporation known as the Greater Portland Christian School Association. The association elects a representative Board of Directors of up to nine members, which is entrusted with the general care, operation, and function of the school. The board’s duties include overseeing the general financial operation of the school (including budgeting, strategic planning, and major fundraising), recruiting and selecting the head of school, developing policy, and serving as the link between school administration, staff, and the association while also guarding the founders’ vision and the school’s current mission. The head of school is appointed by the board as the Chief Executive Officer of the school and carries out the policies established by the board while overseeing the daily operation of the school. This includes administration of the school’s staff, programs, and facilities and making recommendations to the Board of Directors in these and other areas. Membership in the association is open to all persons 18 years of age and older who annually subscribe in writing to the basis of this school as conveyed in Article III of the by-laws, who regularly attend an evangelical church, and who pay annual dues as set by the Board of Directors. 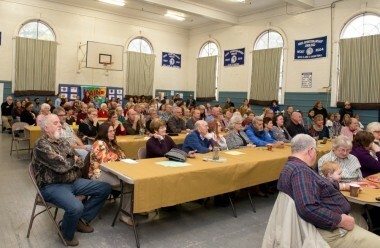 The Greater Portland Christian School Association holds two scheduled meetings each year. At least one parent from each family should expect to attend these meetings. Board members are elected for terms of up to three years each at the annual meeting of the association in late spring. The association delegates leadership of the school to the board, which establishes policies for the operation of the school. The head of school, as chief executive officer, exercises oversight for all the operations and activities of the school’s ministry. At the annual meeting in early spring, the board submits the school budget to the association for information and approval. GPCS is a board-directed, parent-sponsored school with a high measure of parental involvement at all levels of school activity.